Andrew Jackson Heater was born in 1866. His father William Payton Heater had served in the Confederate Army. His dad died when Andrew was five years old. Andrew's mom Sabina Jane then married Caleb Hinkle. David Parmer's sources tell us that Andrew was close to uncle and aunt, Taylor and Margaret (Posey) Riffle. Andrew married Ora Riffle. Ora Riffle was the blood niece of Taylor Riffle and Andrew was the blood nephew of Taylor's wife Margaret Posey. An 1890 census places Ora and Andrew Jackson in Lewis County.1 By the 1900 census Andrew and Ora were living at the mouth of Posey Run. 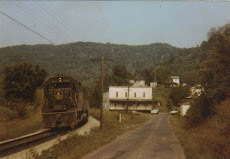 The photo to the right shows that house at the mouth of Posey Run. 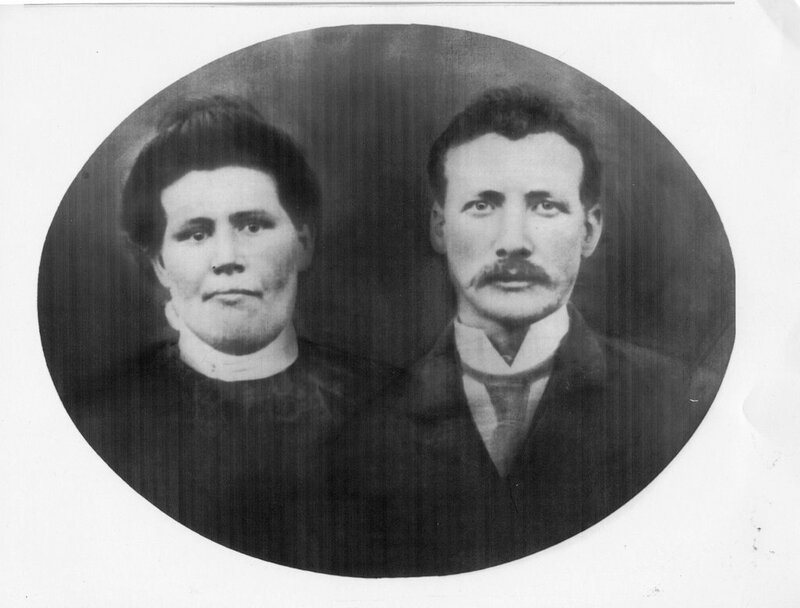 Andrew and Ora had 9 children before Ora died in 1916, at the age of 39. 7 of their children were still under 18 years of age; the youngest was 8 years old. 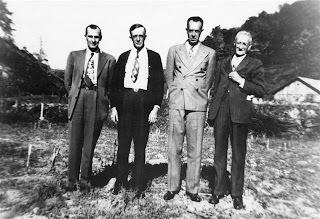 Below are photos of Andrew with three grown sons and Andrew with four grown daughters, Edna, Mary, Mae and Sybil. No, I don't know why everyone is leaning right. 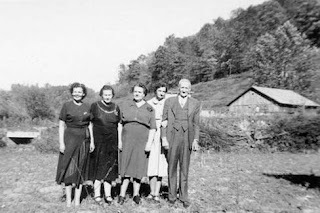 The census tells us that by 1920 Andrew had married a woman from Copen, Lummie Jane Pearcy2. 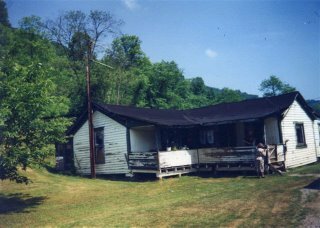 Andrew's descendants tell us he bought the Lovell farm at Copen and his uncle Taylor Riffle helped him build a new house on this farm. Both Andrew and Lummie lived into their 80s, but Lummie was a victim of senility and spent the last four years of her life in the Weston Hospital. Andrew Jackson and Lummie Jane died within months of each other in 1954. Thanks to David Parmer for these photos and information. 1. A laborer in the lumber industry from the northern part of Lewis County boarded with them. His name was Ovie Merlin Stutler. 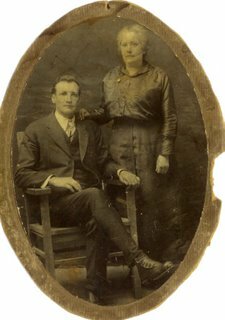 He married Ora's sister Ennie Riffle and they are my ggrandparents. -Donna G.
2. Lummie may have been married to a Cosner before she married Andrew.